I'm not sure if this is the right place for this but this is a project I have been working on. The engine is now running and I have just completed 70 miles on it so far so it is early days yet. They are running in an FD RX7 13B engine with major extend port and GT35r turbo at the moment. Very nice! Now you are going to start getting tons of questions asking you when you will sell them to people for half the price of standard rotors so just be prepared for it. This is still very much in the expermimental stage but at least they are running! Very nice. Hope all goes well. These would revolutionize alot of things in rotary performance. Thanks for sharing this. Beautiful work. 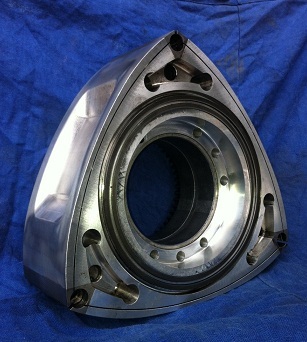 NOW lets see titanium rotor housings. How about titanium sleeves for old housings? Worn stock friction surface could be milled out and a replacement sleeve pressed in. I see some holes underneath the rotor gear but I still have to ask, "Are you letting oil inside the rotor for cooling"? Also, is the oil jetting in from the center of the engine like a standard rotor or did you just say screw it? Why did you machine from the gear side? Visit Attila the Fun's homepage! Have done over 100 miles now on these with no major issues, still running in. Have a slight fueling problem to deal with but that should be sorted soon. First off, good job! I have been waiting for someone to start producing Ti rotors, and looks like you are well on the way! Question: how are they cooled? Looks like you do not have interior oil bath like stock rotors. Any plans to measure temperatures at/near the apex seals? 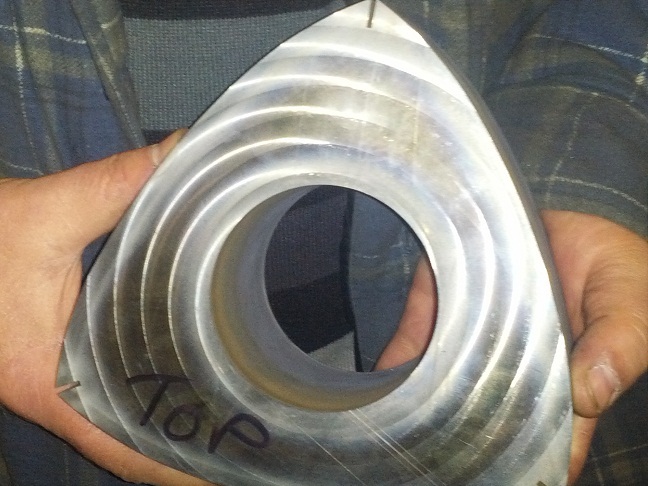 RE: rotor housing comments: Titanium is a terrible material for rotor housings. It has a low thermal conductivity, so it will be harder to cool. More importantly, titanium is not a good friction material, as it tends to gall with any metal to metal contact. 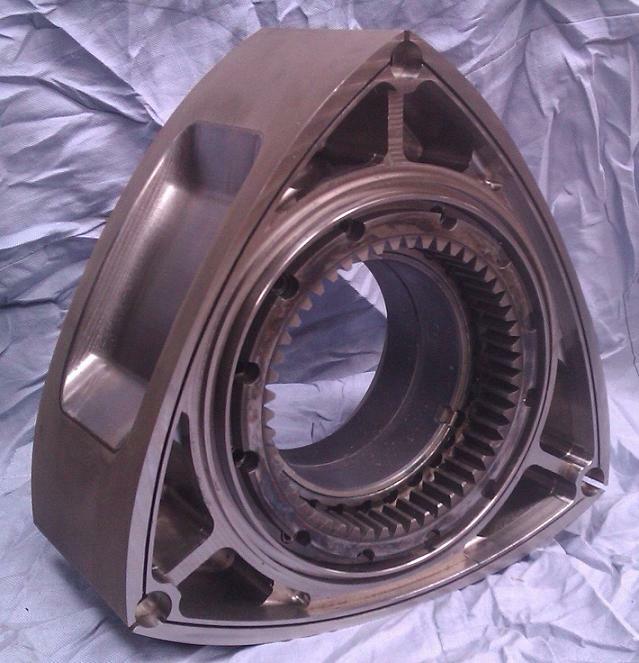 Also, there is little weight savings possible as rotor housing strength is not a major issue, and the stock aluminum is quite light. Obviously there is also the cost issue as well. Rotors, on the other hand, have a lot of room for improvement. Additionally, lightening rotors not only reduces overall weight, it reduces load on the eshaft, increasing power potential. Low TC is actually good in this case, as it removes less heat from the charge, increasing thermal efficiency. There is a design concern with the low TC, though, that it could created high metal temperatures at the apex/corner seal areas, resulting in failed parts. This is why I am surprised that this rotor seems to be designed to eliminate much of the stock oil cooling. The friction issue is also a concern with Ti rotors in that seals may become stuck in the grooves. If these issues prove to be overcome with this design then I will buy a set! ... maybe on a methanol engine this is the intended rotor cooling ? This charge cooling phase would be interesting to compare to the standard blank side rotor flow. And probably this design would not play well with the side exhaust ports. many kudos on your accomplishments. Which compression ratio do these have? Nice job! Subscribed this topic. Can you please tell us any specs? Charge cooling would require significant other modification to the engine to create a flowpath for the air to flow through the rotor. Also AFAIK, charge cooling severely limits MEP levels compared to oil cooling, and since I assume the point of this is to provide an increase in power, that doesn't seem like a good plan. yep, charge flow cooling won't work in this case so i'm in with everyone else who wants to see how the rotor tips will fare without cooling. You could possibly figure out a way to insert a tooled steel insert that will house the apex seals to eliminate the question of the firction/heat issue altogether. The difficulty here is the corner seal. It would be impossible to incorporate the corner seal bore in the insert with the close proximity it already has to the face of the rotor. Maybe hold it short of the bore? then we have other issues like how to actually make the insert and not have it fall out. 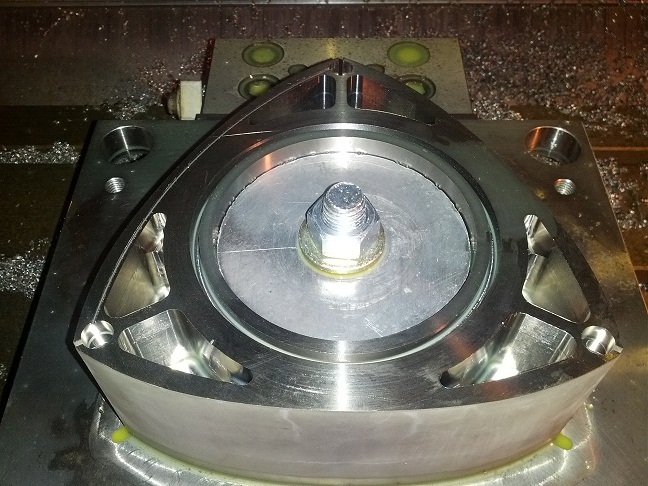 Ultimately, a hardened steel or otherwise insert for the apex seal is quite the challenge. Not sure if they are tooled steel inserts or not but here is someones solution.